I’m feeling oh-so fashionable with all of my Marc Jacobs makeup picks – as close as I’m getting to his fashion line at the moment, anyway! Compared to Kendall’s hat, I’d much rather stick with a nice lipstick or two anyway… I’ve been slowly exploring the Marc Jacobs beauty line, and I have found some firm favourites. These are what I would call a really nice lipstick. 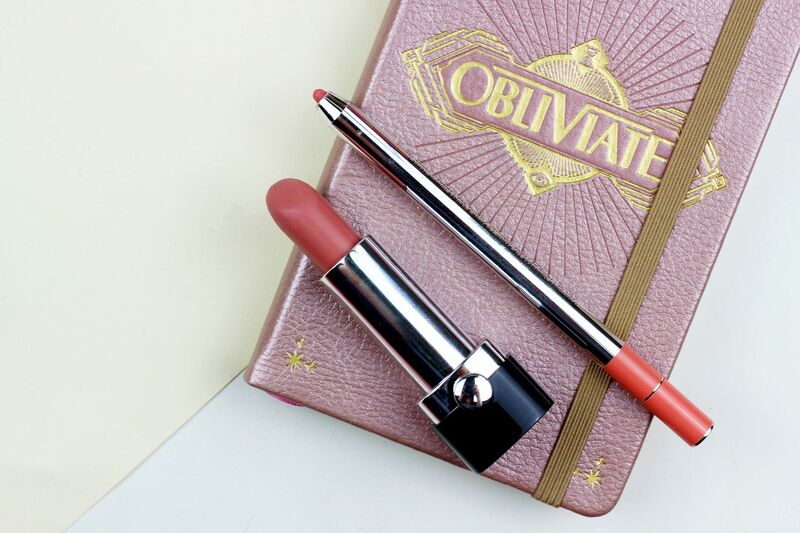 It’s a classic creamy formula – nothing too shiny or too matte but just a nice lipstick to wear. The packaging is gorgeous and has a nice satisfying click when you shut it – something nice to reapply when out and about. I particularly like the shades Sonic Truth, Kiss Kiss Bang Bang and Charlotte. The liquid lipsticks are also good (check my post out here!). This foundation paired with the primer is something very nice on the skin – the two work perfectly together to make sure skin looks hydrated and glowing. The formula on the foundation is really nice – it blends so easily and glides over the skin without being too liquid in texture. It lasts nicely on the skin and the coverage is gorgeously blendable. It seems to come in a nice mix of shades as well (I’m the palest one). Now these are seriously exciting! You know how I love my cream shadow sticks because they’re so easy to use (scribble and go), but these are exciting because of the texture. It feels really cooling on the lid because of the gel texture. It’s also the best one that I’ve tried in terms of gliding across the lid, so I think this would be really good for older lids. Of course this beautiful little primer had to have a mention! I’ve spoken about it quite a few times but this is a lovely primer for hydrating the skin – it doesn’t mattify, minimise pores or do an incredible amount for longevity, but it creates a lovely smooth base to put your foundation on top of and helps to keep the skin hydrated. It’s really good for dehydrated skin as well as it helps to balance everything. This is a really good mascara, but if I have to narrow it down and recommend some products this will always come lower down on the list. Mascara is mascara! 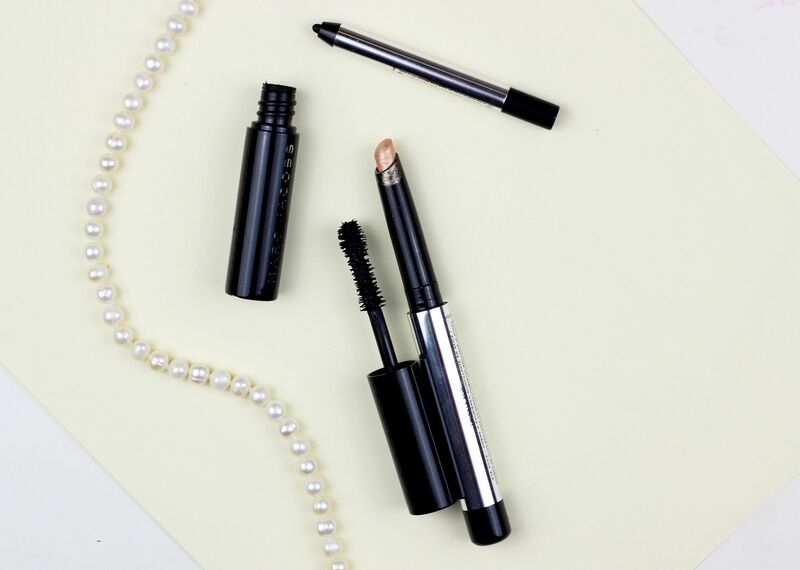 This one makes your lashes longer, look inky and have volume but so many do. I love my lipliners, but I think I’ve been spoilt forever by the texture of the Charlotte Tilbs – this liner is perfectly decent but it’s a little drying and it’s definitely nothing special… Lip liner is sometimes hard to get excited about, and I would pick MAC over this. Same with the Highliner Gel Eye Crayon in Blacquer. 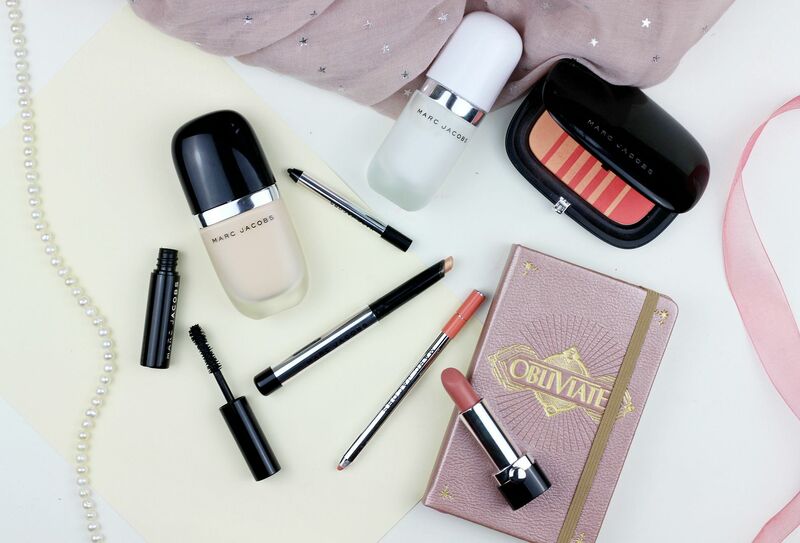 Do you have any Marc Jacobs favourites?